I've done things a little bit differently this month and spilt my March magazine freebies post into two separate posts (you can find my first one here). This was mainly down to the fact that I forgot that the March issue of Glamour (dated April 2015) came with a freebie Balance Me product..*oops*. As I'd forgotten about the freebie when my subscription copy of Glamour arrived at the end of last week I was even more excited than usual. 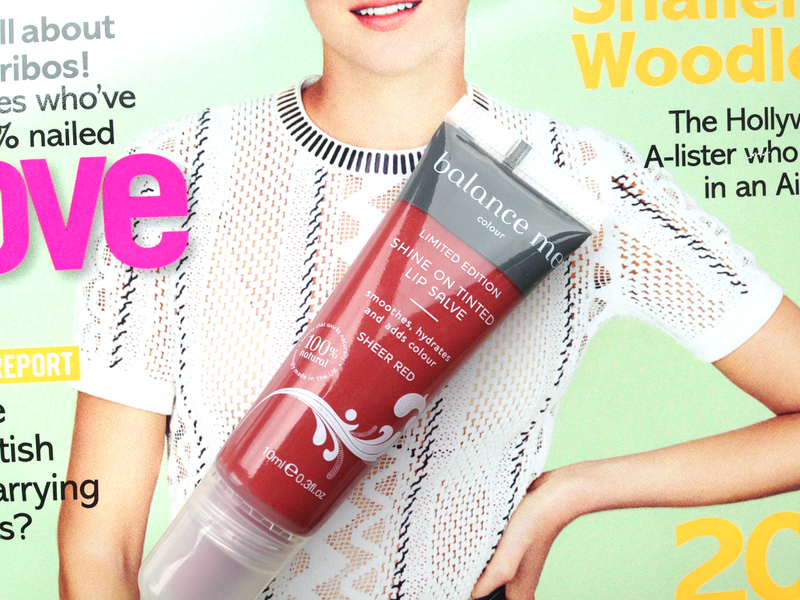 Now Balance Me isn't a brand I know a great deal about unfortunately.However, I have tried a couple of their freebie magazine samples before (they seem to be given away with Glamour quite frequently) and they're pretty good products. The latest issue of UK Glamour Magazine comes with a choice of four freebies - Balance Me Radiance Facemask (30ml),Balance Me Super Moisturising Body Wash (100ml), Balance Me Pure Skin Face Wash (30ml) and Limited Edition Balance Me Shine On Tinted Lip Salve in 'Sheer Red' (full size tube). My subscription copy of Glamour came with the Balance Me Limited Edition Shine On Tinted Lip Salve in 'Sheer Red' which would've been my freebie of choice should I have had the choice. I haven't had the chance to try this product out properly as yet but I'm looking forward to giving it a try. The latest issue of Glamour (March 2015,dated April 2015) is out now, costing £2.00.